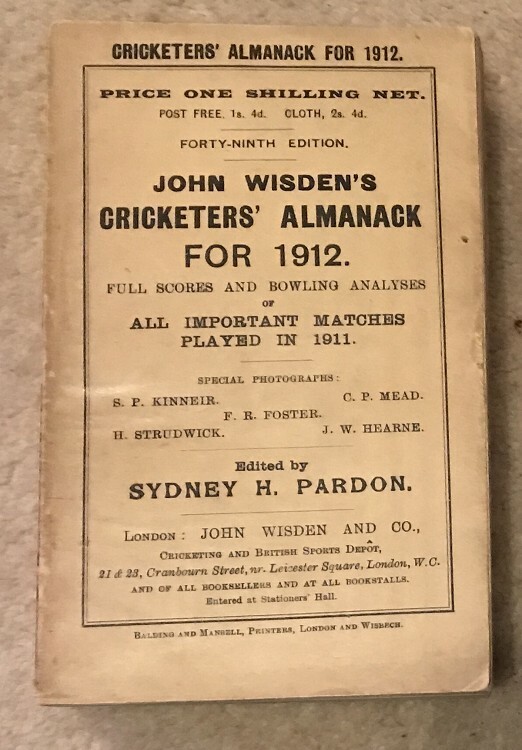 This lot is a 1912 Original Paperback Wisden. It is in Very Good Condition, it has not been restored in anyway which is nice to see on an old paperback. The spien paper is very good, just the odd touch of paper trying to come away if being picky but tightly bound. Wonderful covers , tall and close to mark free. There is a little bit of thumbing to the book but internally it is very nice with a great photoplate.